The Unitech RH767 II has been discontinued. No direct replacement is available. 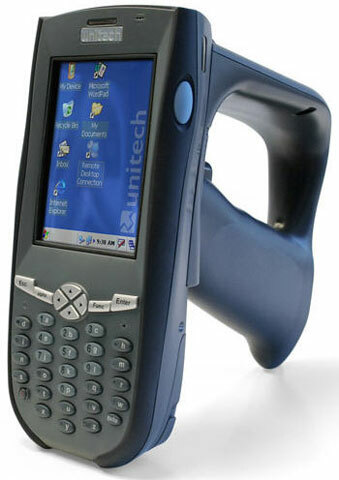 The Unitech RH767 II is equipped with both an RFID Reader which supports 860~960 MHz and a 1D or 2D imager for barcode reading. 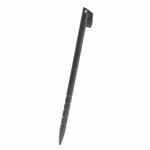 The RH767 II's flexibility extends to data output with a comprehensive range of communication options. It comes with WLAN 802.11b/g and Bluetooth on board. Unlike other devices on the market, all the technology is packed into a single device with a single power source, keeping down the cost of purchase, repair and replacement. And, with battery capacity 7.4V, 4050mAH, the RH767 II can last up to 2 shifts before the power status indicator tells the user it's time to recharge the battery. It has an IP54 rated, 1.2 meter drop tested rugged PDA construction that minimises the risk of damage and reduces the total cost of ownership.